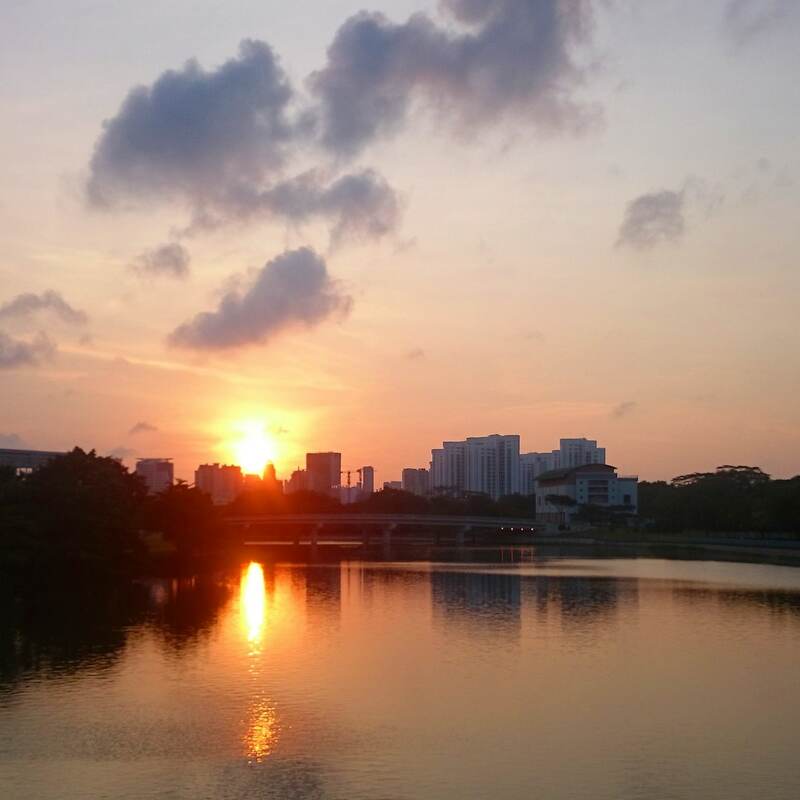 Been feeling very moody and mournful of late, so went for a run along the Kallang/Geylang River this morning, in time to catch this beautiful sunrise. Natural wonders and a spot of physical exertion always have a positive effect on me, and this was no different. It made me introspective and nostalgic, in a good way. I thought about how I used to wakeboard in these waters when I was in the Singapore Management University (SMU) & how I participated in several wakeboarding competitions. Held at the Kallang Riverside Park, my folks came to several of these competitions to support me & I remember them telling me about how filthy the rivers in Singapore were not that long ago. The thought seems almost unfathomable as wakeboarders, canoeists, dragon-boaters & recreational fishermen share & enjoy the waters today. The waters were literally dark with filth, while dead animals, human waste & other rubbish floated about. According to the accounts, the stench was at times unbearable. It then took a visionary to make change happen. Today, I enjoyed a scenic run along the sparkling waters of the river, on a proper path lined with plants and colourful flowers. I saw fish & even caught sight of a water snake in the waters. I saw older folk practicing taichi on the banks; people walking their pets; children running about; saw dragonboaters and canoeists…basically Singaporeans, and foreign friends alike coming together, enjoying our little slice of nature in our urban neighbourhood. Thank you, Sir, for your vision and detailed execution; for turning us from a third to a first world nation in less than a generation, and for making a Singapore I am so proud of.